Two South Bay men were arrested Sunday night in connection with an armed home invasion robbery at a Cupertino home, according to the Santa Clara County Sheriff's Office. Around 10:35 p.m., the sheriff's office received a report of an armed robbery at a home in the 21000 block of Regnart Road, according to the sheriff's office. A resident at the home told deputies two men, one armed with a handgun and another armed with a knife, entered the home and took cash and jewelry. The pair tried to hide their identity by wearing hooded sweatshirts, but the resident was able to give deputies a rough description, sheriff's officials said. A responding deputy then witnessed a speeding vehicle about a half-mile from the home. When the deputy tried to follow the vehicle, the car made a sudden turn into a residential neighborhood. The deputy followed the vehicle into a dead-end court and was able to pull it over, sheriff's officials said. The pair inside the vehicle matched the description given by the victim. Inside the suspect vehicle, deputies found the cash and jewelry taken from the home and also found a loaded 9mm handgun. 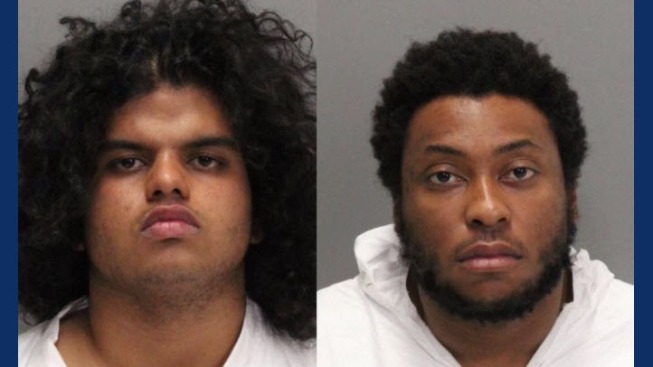 The two were arrested and identified as 20-year-old Santa Clara resident Yasindu Desilva and 21-year-old Sunnyvale resident Jacks Atiba, according to the sheriff's office. Investigators are working to determine if the pair is responsible for other similar cases in the area, sheriff's officials said.